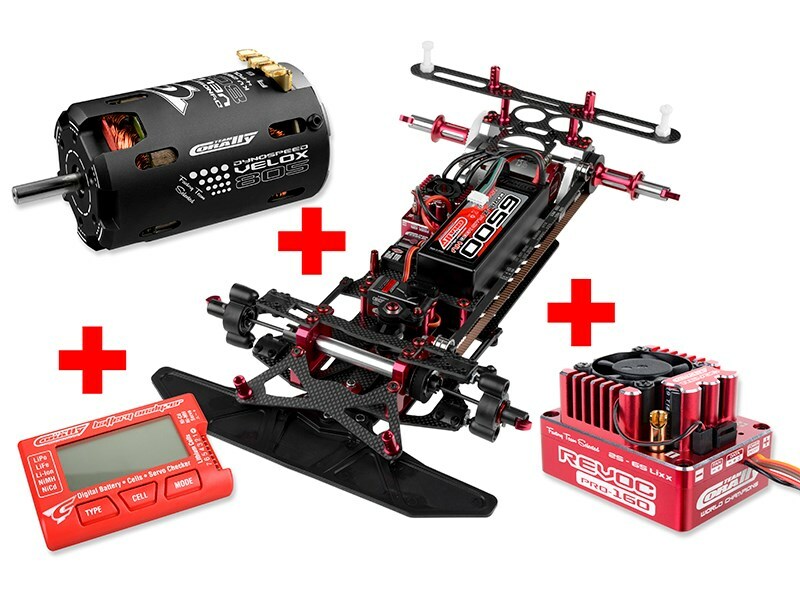 Save money and purchase your SSX-8-R Car Kit together with this optimised VELOX 805 2150 KV motor, REVOC 160 2-6S Controller and his Smart Box to program the REVOC 160 Controller. 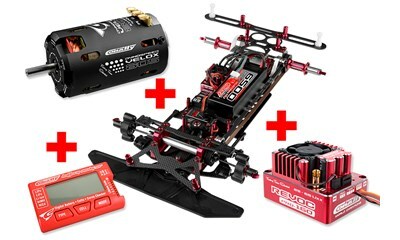 The Team Corally VELOX 805 4-Pole sensored brushless motor is specially developed for the growing 1/8 On-road cars. The motor has extra cooling vents to keep the motor running cooler in extreme situations. The motor can is designed only in 2 pieces, the front motor plate is solid with the motor can. The motor feature high quality oversized bearings, sintered Neodymium magnets and a superior electromagnetic design.